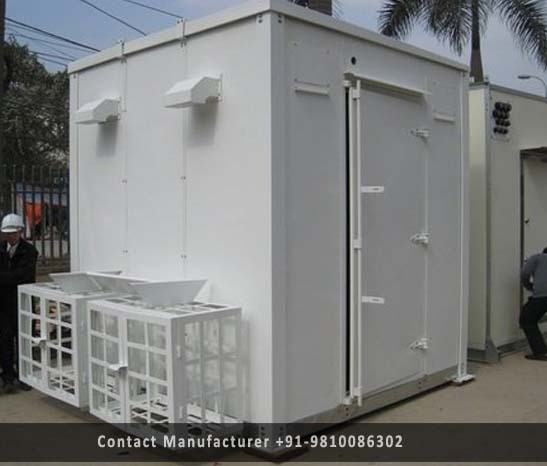 Prefabricated Telecom Shelters Manufacturer in Delhi, Prefabricated Telecom Shelters Supplier in Delhi, Prefabricated Telecom Shelters in Delhi. Our organization specializes in providing an excellent range of Prefabricated Telecom Shelters that is used in various industries. We are offering this shelter in various models and technical specification to meet the requirement of varied clients. To maintain industry defined quality parameters, it is manufactured using quality tested components and advance technology. Require low maintenance, these shelters come in market at pocket friendly prices. We assure to our valuable clients for timely delivery of products.